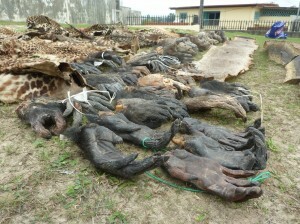 Tragically, the illicit hunting, selling and eating of primates is common throughout much of Africa. The bushmeat trade, as this horrific industry is known, has become the most significant danger to the existence of Africa’s primates. 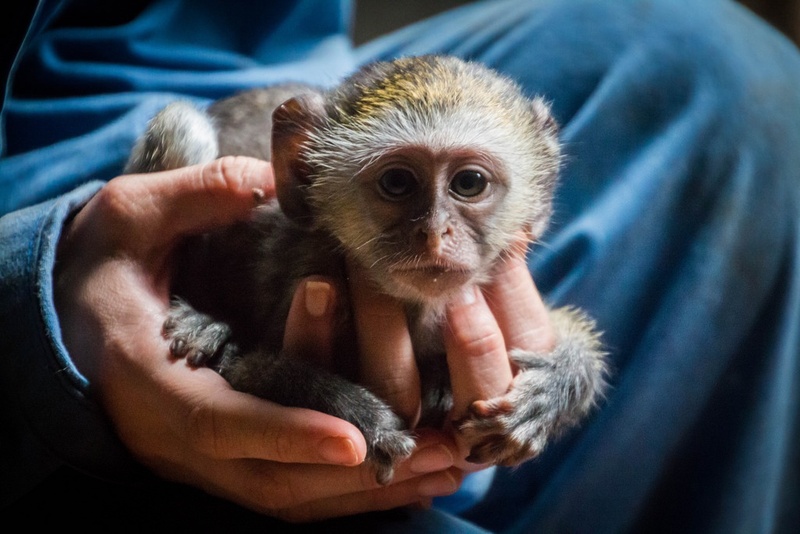 PASA member wildlife centers empower local communities to find alternative livelihoods and give lifelong care to baby apes and monkeys who are orphaned by the trade. 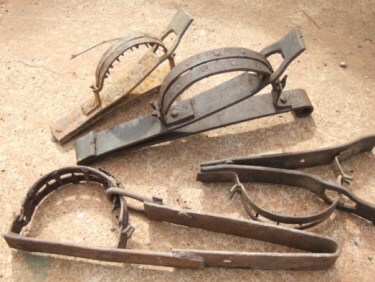 The bushmeat trade, the illegal and unsustainable hunting, buying, and selling of wildlife for meat, is common in many areas of Africa. 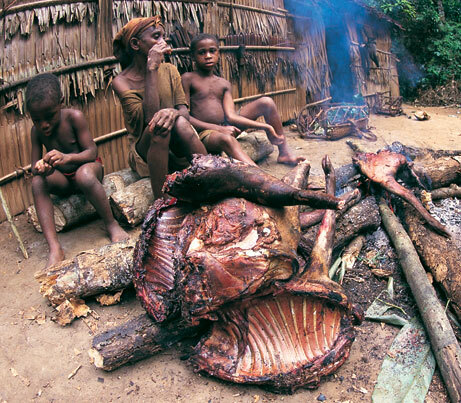 What began long ago as a source of protein has become a major industry, with bushmeat sold in cities at higher prices than chicken or beef and many people hunting wild animals as a source of extra cash rather than food. Illegal wildlife hunting is expanding rapidly in Africa, largely because logging and mining operations cut roads through formerly pristine wilderness. As a result, wildlife that was formerly a week’s walk from the nearest roads can now be reached by hunters in trucks in a few hours. 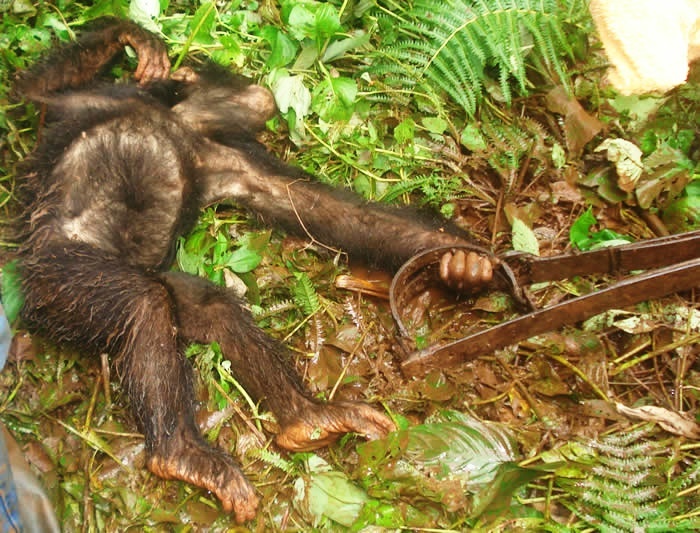 Hunters often shoot down all the adults in a primate family or social group. The babies, who are too small to eat, are sold on the black market to be pets. When these orphans are confiscated from traffickers, PASA member wildlife centers generally give them lifelong care. For every baby ape who is rescued, up to 10 are slaughtered. These orphans often need extensive medical treatment from expert veterinary staff and loving care from trained staff to recover from intense emotional trauma. Read more about the rescue and care provided by the PASA wildlife centers. PASA works with our member wildlife centers to stop the illicit hunting of endangered species and provide the best possible care to the survivors. Nearly three-quarters of PASA member organizations conduct anti-poaching patrols in critical primate habitats. PASA members also use education programs to inform people about the true impact of hunting wildlife, and run community development projects to provide alternative livelihoods for people who live near primate habitat (and are most at risk of hunting wildlife). Read about the work PASA and our member organizations are doing to empower communities!